Tumbleweeds In The Wind: SURPRISE!!!! While I'm new to the blogging scene I've been enjoying sewing for years. I was delighted to find so many people who shared my interests and have thoroughly enjoyed getting to know you all through your blogs. As I read all the year end posts and goals for 2013 I noticed a trend or theme in a lot of them. Yep! You guessed it! Stashbusting! I too, was feeling the weight a large stash leaves on one's mind and storage space so I plucked up my courage and approached Cindy of Cation Designs with an idea. She responded enthusiastically and together we have dreamed up a superb plan to share with you all! 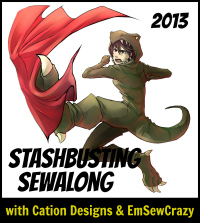 The 2013 Stashbusting Sewalong is a casual sewalong whose goal is to encourage us to reduce the size of our stashes. If you've got more fabric than you know what to do with, join Cindy and me as we systematically purge our stashes by sewing items to fit a series of themes. We've got a whole schedule that you can follow if you need that kind of structure, or you can just join us in pledging to destash in your own way; it doesn't matter if you want to follow our themes, as long as you use up that stash fabric. Either way, we know we're in it together, and we know that others will be cheering us on as we go. There's nothing like working together to bust a stash! 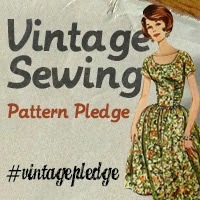 Leave a comment here or on Cindy's blog with your pledge: "I, _______,commit to using ____ pieces of stash fabric in 2013. Additional option: I also commit to not buying any new fabric/patterns/ notions except for _______ until ______." Please include your blog if you have one. We will be posting the rest of the themes/challenges later in the year, so as not to overwhelm and add some surprise. You'll also notice that some of the months are challenges. This means that if you sew along with our theme, you can enter your finished project in a contest! We'll choose our favorite and you'll get bragging rights. And we promise that the prizes aren't just pieces from our stashes that we want to get rid of ;) We'll give you more detailed information about the rules and how to enter before the February challenge. Start sewing up those scraps for January! It's up to you if you want to post every month about your project, but we encourage you to interact with your fellow stashbusters, whether it's through Flickr or blog comments. Besides documenting our own projects, Cindy and I will also post round-ups each month of your makes so you can see all of your fellow stashbusters' projects gathered into one place. You can get links to all of our posts and follow our progress on this page. You can also follow our Pinterest StashBusting Headquarters board to see new posts from all involved. Lastly, if you want to proudly proclaim to the world (or just to the people that you share a living space with!) that you are Finally. Doing. Something. about that stash, you can grab this amazing button for your blog's sidebar: (doesn't it make you feel fierce and ready to tackle the stash!) The button features a Sewasaurus Rex tackling a piece of stash fabric in a rather, uhh...extreme manner. It was done by one of Cindy's former chemistry students; you can check out more of Jen's amazing artwork here. 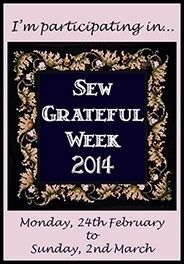 Thanks for participating with us and here's to a great year of sewing! On Wednesday, I'll be posting my pledge and stash confession pictures. I look forward to sewing and supporting you all as we accomplish our goals and get StashBusting! I, Jessiekay ,commit to using 12 pieces of stash fabric in 2013 and will post about it on my blog www.imake2.blogspot.com. This will force me to sew! I've added your button and will post about it soon. Great idea thanks! I, Tee, commit to using at least 1 piece a month for 12 months....I have so much I don't know how many yards I have! Check out my progress at www.dressed2atee.blogspot.com and I also have a flickr account. I, Carolyn of Handmade by Carolyn, commit to using at least two, preferably more! pieces of fabric from the stash, per month for the next 12 months. I, Adele,commit to using 12 pieces of stash fabric in 2013. I also commit to not buying any new patterns (i.e. "new to me", I never buy new) until December 13, 2013. Furthermore, in the process I will review my shameful stash of vintage pattern drafting and sewing books. Count me in, please! "I, Reethi ,commit to using 25 pieces of stash fabric in 2013. I also commit to buying new fabric only if I will use it up right away. I, Debbie, pledge to use at least one piece of stash fabric per month for the next 12 months. Thanks for organizing! This is a double challenge for me. It means I will have to dust off the 'ole blog and get posting! My pledge is to use at least 3 metres of fabric from my stash for every metre I buy throughout 2013. - Sally. This sounds like a bit of fun, so count me in! I, Shelly of Shelly's DIY Style, commit to using one piece of stash fabric for the next 12 months. Now this should really get me sewing; I've been a bit slack lately. Will post about it next week. Just wanted to say a big thank you to all of you who have joined in the challenge!! I can't wait to have tons of sewing fun and do a bit of decluttering together! I, Borsmenta, commit to using one piece of stash fabric/month for the next 12 months. This has come along at just the right time! I, Mary, commit to using at least two pieces of stash fabric/month for the next 12 months. Progress will be documented at my blog: www.crazyknitter.typepad.com . Welcome to the group Borsmenta, Mary and Juanita! We are happy to have you and look forward to stash busting with you! I, Andrea, commit to using as much of my stash as possible during 2013 when other work permits me the time. I also commit to not buying any new fabric for my personal use during 2013 (unless it's an absolute bargain! ), AFTER my trip to Paris in March. I just blogged this week about wanting to destash, so this is very timely. I will post my progress on my blog http://obsessivecreativeness.blogspot.com.au/, and hope to blog about this challenge in the next week or so. I, Julie Hearn, of spendlesscraftmore.blogspot.com commit to completing 12 projects from my box of fabric lengths and unfinished project box, as well a minimum of 6 other projects from my stash. I further commit only spend money on items directly related to those projects from the stash. "I, Natosha Voss of oneblessedmommie.etsy.com ,commit to making 4 denim quilts out of my stash fabric, and finishing 5 incomplete projects in 2013. I, Joanne, commit to using 12 pieces of stash fabric in 2013 (hopefully more!). I finally got all of my fabric in one room and it's quite overwhelming! So this is a great challenge for me. I, Jennifer,commit to using 10 pieces of stash fabric in 2013. I have a nice stash at home, almost all of my stash is set up with a specific pattern in mind. there were so many pattern sales and fabric sales. And now for Valentine's day my love gave me a gift card to Fabricville! Oh MY! I will post pictures later this weekend. Seamstress, adopted Aunt, dreamer of creative things. This is my space to share that with the world. Does Exercise Help Your Sewing? © EmSewCrazy 2012-2013. Awesome Inc. theme. Theme images by Ollustrator. Powered by Blogger.